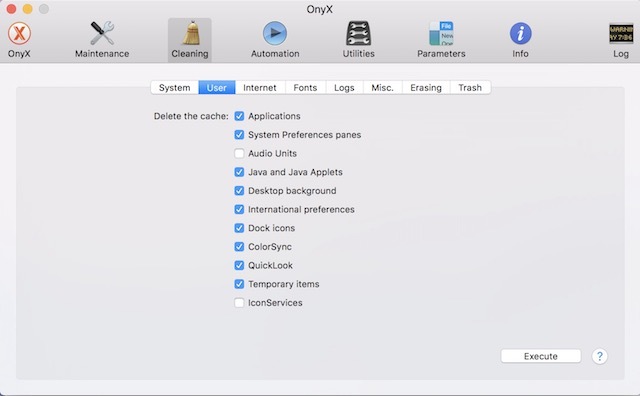 Onyx from Titanium Software is a versatile tool which can help you verify your start up disk, execute hidden features, run maintenance script, automate tasks, clean up your Mac and much more. However, today we will focus only on its clean up capabilities. Although a bit more complex than other apps on this list, if used properly this can become the only disk cleaner app you will ever need. It has a minimal looking UI with all features getting a separate tab on the app’s launch screen. When you will click on the “Cleaning” tab, you will see the different levels at which you can perform the cleaning tasks. You can clean up unwanted system files, residual app files, system logs and much more. It lets you scan all the files on the system and you can select and delete files which are not of use to anymore. Heck, you can even delete system fonts if you want to. You can go really granular with this. As I mentioned earlier, this can be the only tool you will ever need. 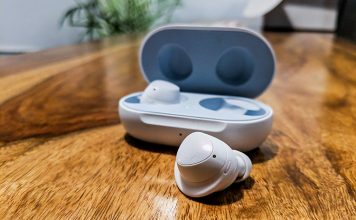 However, there are certain problems which can occur if you are not careful with this. 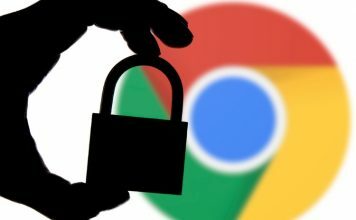 As you can access and delete the system files, there is a chance you will end up messing up your computer if you are not careful. But, if you use it correctly, it will help in freeing up space on your Mac, you didn’t even know existed. As if it was not enough, it’s also totally free. 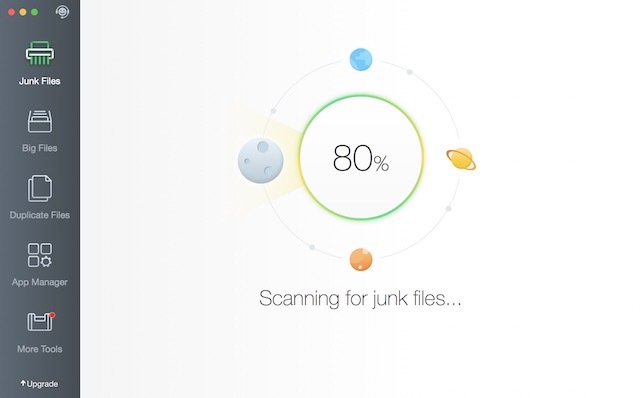 CleanMyMac has been hailed as the best disk cleanup utility app you can get and rightly so. The app looks as phenomenal as it performs. It has a modern UI with very cool graphics to go with it whenever you are scanning or deleting files . You can scan the whole computer at once or a part of it depending upon which type of file you want to delete. As you can see in the picture I can release more than 5 GB of space on my Mac after I perform the clean up. It also has a built-in app uninstaller which lets you uninstall the apps along with all their residual files. The best part is that it does all that without touching your system files, hence you can never accidentally cause harm to your Mac. What’s the caveat you ask, well it’s one pricey software. It has a free version but that will only let you clean up 500 MB of data at one time. If you want to take advantage of this app, you will need to shell out the money for the pro version. Mac App Store is full of incredible applications. One of the biggest reasons some people prefer Macs is the collection of apps available on its App Store. We install and uninstall many apps to choose the right ones which fit our needs. However, the inbuilt app installer in the Mac is inefficient. Whenever we delete an app, more often than not it leaves its residual files intact. Over time, these residual files can take a lot of space. 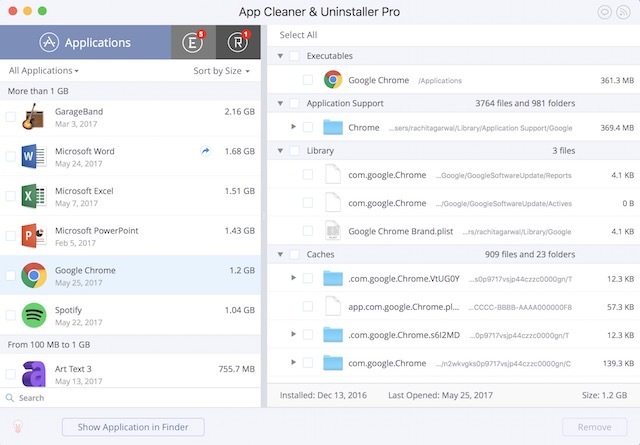 It is here that AppCleaner comes to our rescue. When you uninstall an app using this app, all the residual files are deleted along with the app itself. It is a very handy tool to have and is totally free. 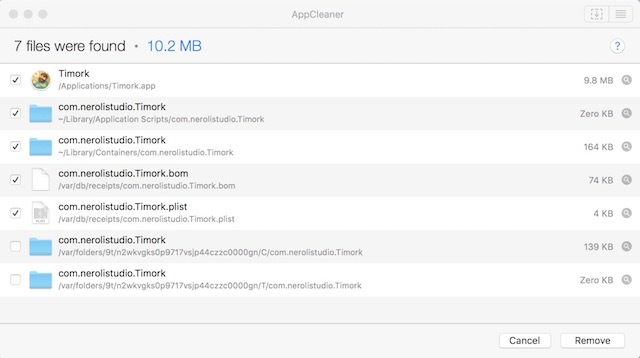 Although it sounds exactly like the previous app on our list, I can assure that “App Cleaner” is different. Apart from having ‘a space’ in the middle, there’s one key difference between both these apps, which makes this one better. Not only you can uninstall the current app, it can also scan for all the residual files left by previous uninstalled apps. Thus, you can even clear the residual files of those apps which were not uninstall using this app, a feature missing in our previous app. Also, it loads up all your app directories allowing you to uninstall the apps with just one click. You don’t have to drag and drop or do anything like that. However, all these features are going to cost you, as its free version just lets you scan the directory and not delete them. One of the major reasons behind us running out of storage on our Macs is the presence of duplicate files. 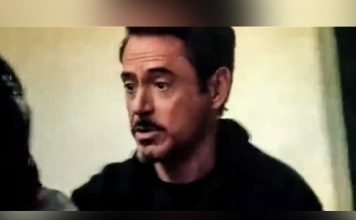 You might have downloaded something twice, or created a duplicate just for a back up or took too many pictures of the same object. In any case, these duplicate files eat away a lot of space. Duplicate Finder does what its name suggests. It finds all the duplicate files on your system and lets you delete them. I can’t even tell you how much space I have been able to free up on my Mac just by removing the duplicate files. 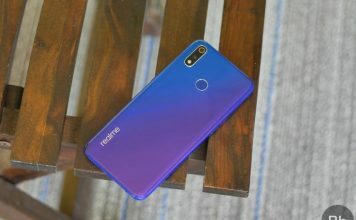 Gemini 2 is one of the more popular app which also does this. However, I included Duplicate Finder instead of Gemini 2 on our list because it performs the same while costing half of Gemini 2. You can also check out our list of the best duplicate file finders if you want more options. Dr. Cleaner made it on our list because its free version is pretty incredible. If you just need to run a scan and get rid of junk files on your Mac without costing you any money, this is the app for you. Rest of its features like app uninstaller, and duplicate files finder are reserved for the Pro versions but junk scanning and removal is totally free. I have noticed that it does not find as much junk as CleanMyMac does, but considering it is free, it holds up it ground well. You can try the pro version, it will still cost only half of what CleanMyMac does. 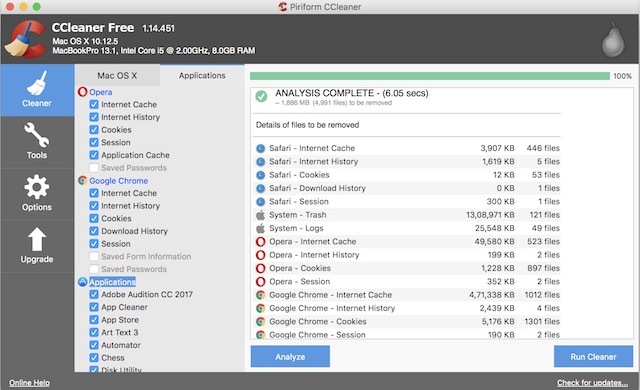 CCleaner, the popular disc cleaning app for Android and Windows has launched its Mac client recently, hence we thought to give it a shot. Launching the app, we were a little disappointed as the UI looks a little bit outdated. However, considering looks are not everything, we ran the app. It could only detect junk files of around 2 GB, much lesser than CleanMyMac. 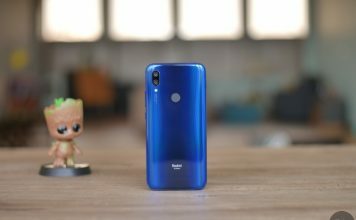 One could suppose that the pro version costing quite a bit of money can improve its performance but sadly the pro version only adds automation and better customer support. It doesn’t do anything to improve on the performance side of things. Still, its a pretty good software if you want a free disk cleaner app for your Mac. It might be hard to believe but Macs also need disc cleanup once in a while. 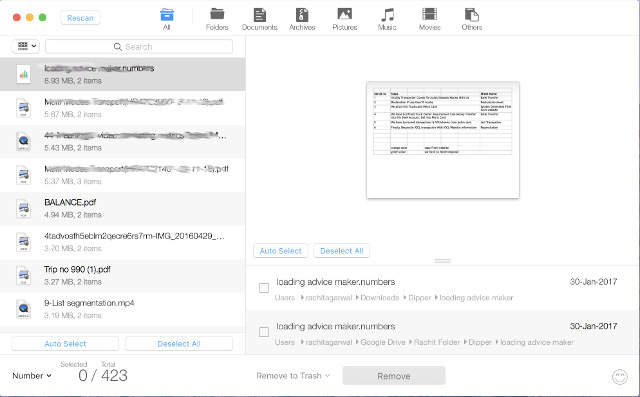 Using the above mentioned tools you can get rid of unwanted, duplicate, residual, and junk files on your Mac. You can free up a lot of space by performing the cleanup regularly. So, these disk cleaner tools on your Ma and let us know how much storage did you guys were able to release. Sound off your thoughts in the comments section below.